Contrary to some popular beliefs, a colon cleanse program is not just pills or fiber, nor is it the practice of getting a colonic or body wrap. Colon cleansing is a natural process that your body is designed to do. Therefore, a colon cleanse program is not something that is done to you, but what you actively do to stimulate your body's natural cleanse processes to work. We all have organs designed to keep our bodies clear and healthy. But sometimes these systems fail as the organs become overworked, due to diet, environment or lifestyle. Even though your liver is designed to detoxify toxic substances and break down fats, it can become burdened with waste, in the form of excess bile and/or stones, leaving it unable to fully do its job. Your intestinal tract may be designed to move food through, but if we overburden it with too much food, or food that it cannot fully digest, a residue may be left - much like a buildup can form in the arteries even though your blood flows 24 hours a day. Enter the colon cleanse program. This is the process of helping your body cleanse by adjusting food to a lighter, easier-to-digest diet, taking nutritional supplements that can help break down and remove excess waste that your body couldn't, and taking in more nutrition to give your body and organs the strength they need to do the job. Let's face it - if you're body could detoxify or cleanse anything, there would be no such thing as being overweight (in which the body has stored excess waste which becomes excess weight), and autotoxicity, sepsis (toxicity of the blood), or even constipation. The most important step to help your colon cleanse program is to alter your diet. Consuming foods that are easier to digest allows your body to put more energy into clearing built up waste. Eating plenty of fresh, organic fruits and vegetables aids and stimulates digestion while the fibers help move food through. Produce also contains natural vitamin and mineral water, which aids in hydration. Keeping it organic helps keep the burden of excess pesticides out of your liver, allowing it to clear any built up waste it has stored. Avoiding foods that are difficult to digest such as wheat or processed meats further strengthens digestion while lessening any burden of hidden chemical toxins that these foods may contain. 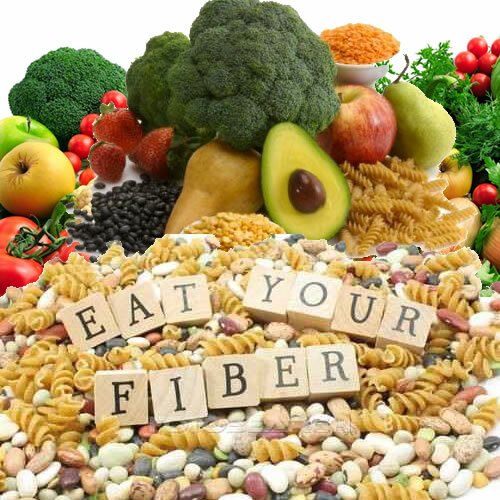 Supplements during a cleanse may include as fiber, which acts as a broom as well as assist in the breakdown of any intestinal buildup. This helps your body remove waste easier, helping your systems of elimination to work their best. Other supplements can aid in healing of the digestive tract, help support your liver or kidneys, or may even supplement nutrition to make up for years of eating a diet that was lacking in complete nutrition. Fresh, whole, organic fruits and vegetables; variety and in season are key points when choosing your produce. Plenty of fresh, spring water. Avoid "smart" waters, which may include unnatural minerals that your body cannot use. Small amounts of animal proteins if you are used to eating this as part of your regular diet. Ensure there are no extra hormones, antibiotics or processing chemicals added. While this is a brief overview of cleansing, the more you know the more benefits you get such as; weight loss, regained health, more progress with less effort, higher motivation. These are the many reasons people cleanse, and why I eventually wrote my first book, The SpringClean Cleanse guide (see below). After 10 years of helping people learn to cleanse their bodies, many clients requested my program in writing so they could share with friends and family, as well as other practitioners. It took a couple years but I did it and the results it a comprehensive books that not only tells the how and why and even the scientific basis for cleansing, but gives step-by-step directions on how you can personalize a program for yourself at home. You can take charge of your health by being proactive. Take the time to learn about how your body works and how nutrition affects it, and remember that knowledge is health assurance.